We know you love them, too. WHO: Christine Bibbo Herr, esteemed fashion editor, working for both print and TV as well as a stylist. Other things of importance? She’s a New Yorker and surfer with a penchant for things which juxtapose all things girly: bags, dresses and bracelets are the silver lining of her dreams, alongside endless beaches and skateboards. Talk about a well-rounded woman. Even more exciting is that we all get a peek into her fashionable insight – she’s just launched her blog, NYC Pretty! WHERE: A well-organized medicine cabinet. WHAT: Rosewater Facial Spray, Honey Moisturizer and Cellufirm Drops. WHY: If not from us, take if from the editor. Especially if she’s been a professional in the industry.. 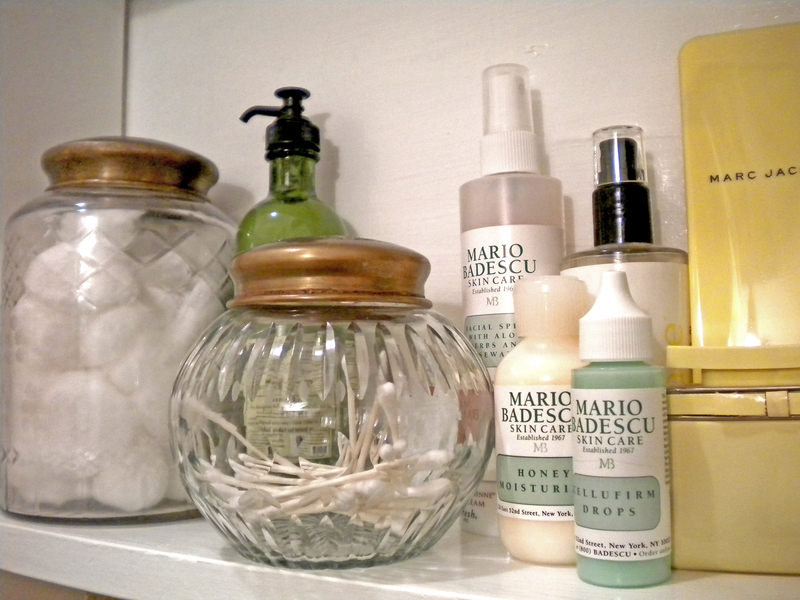 Send us snapshots of what’s in your medicine cabinet!